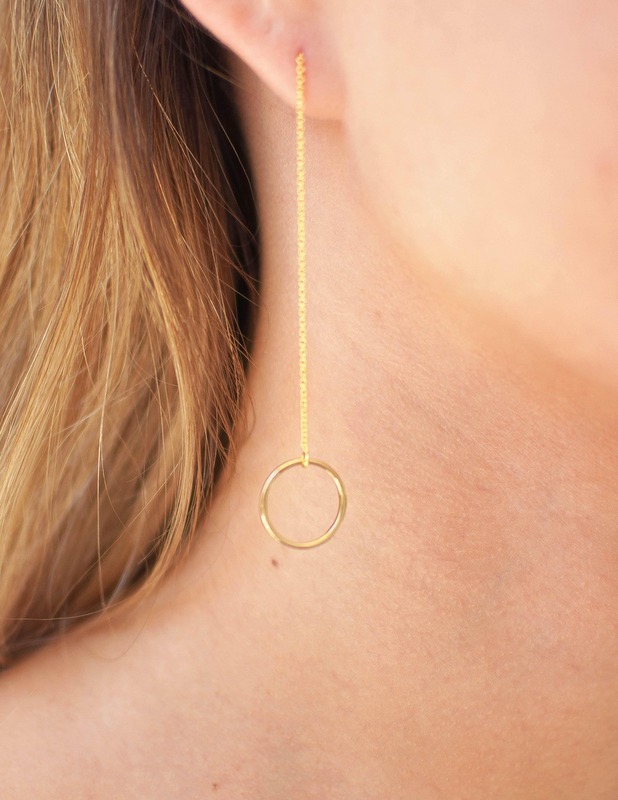 14k Gold Filled or Sterling Silver Threader with infinity charm. 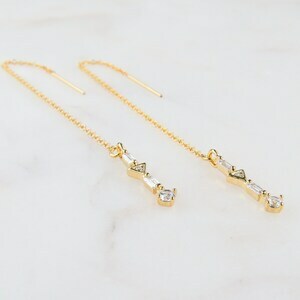 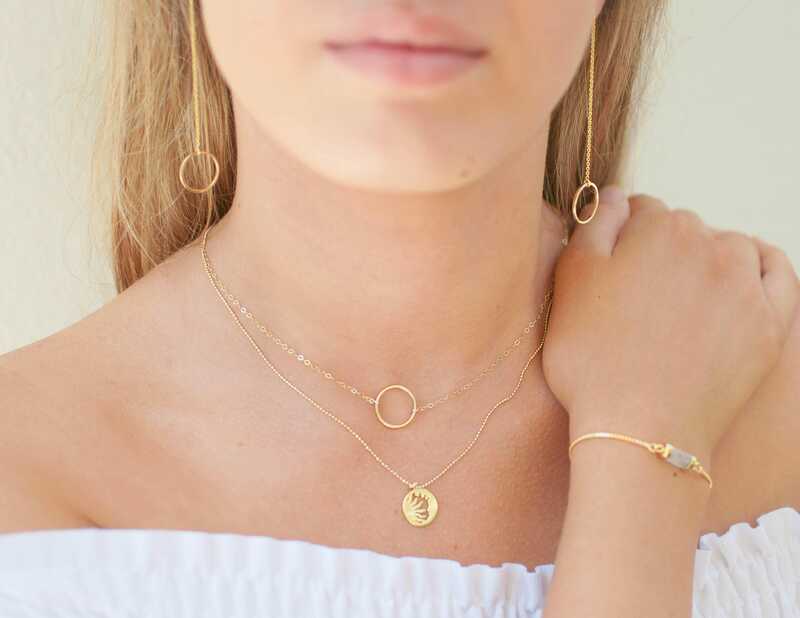 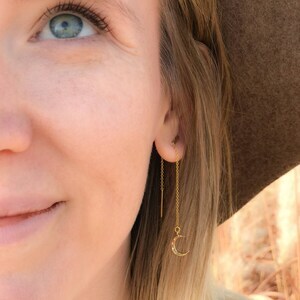 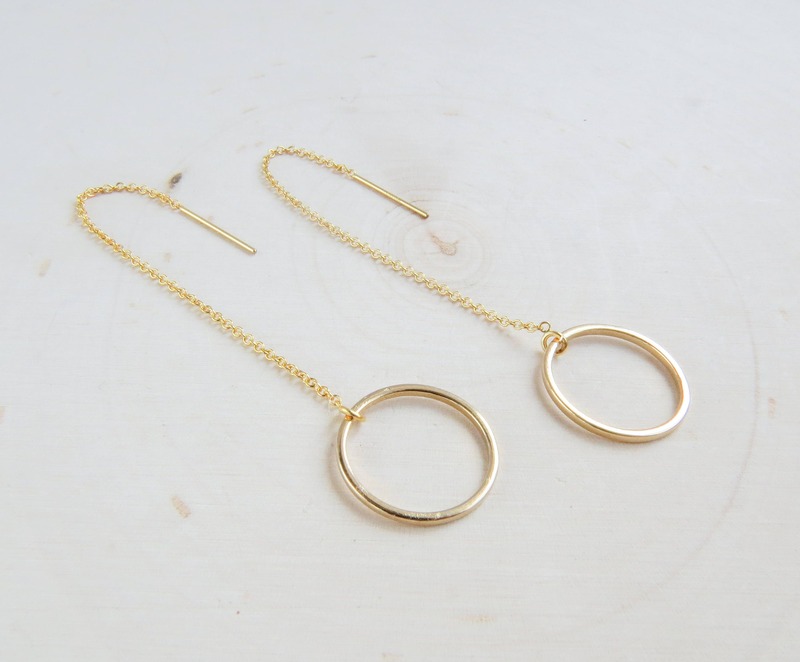 Easy to wear and pair back to gold or silver jewelry. 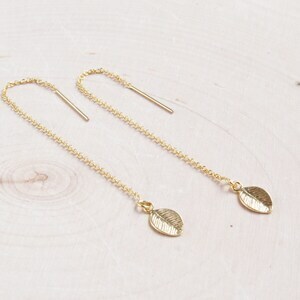 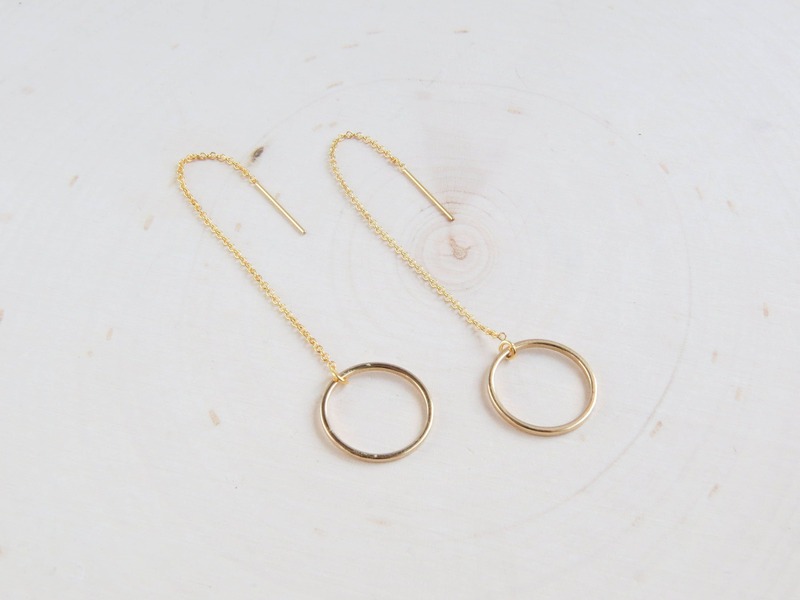 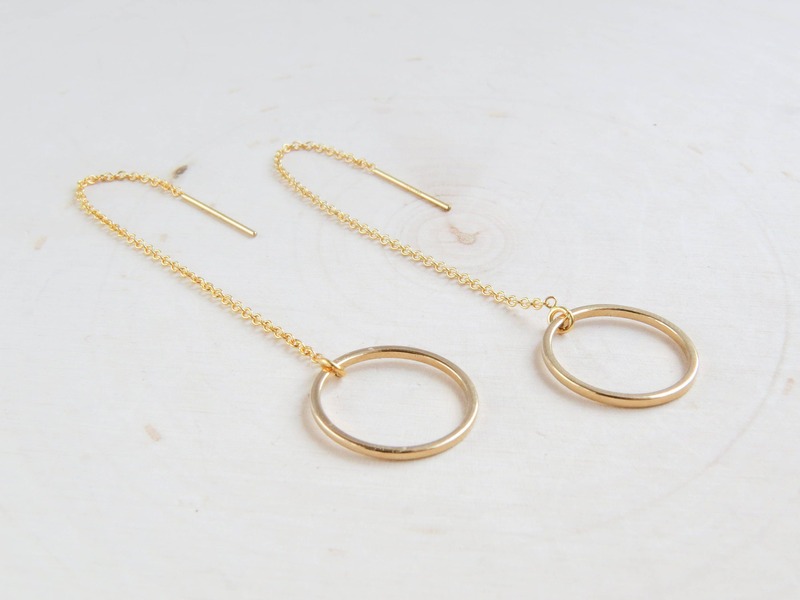 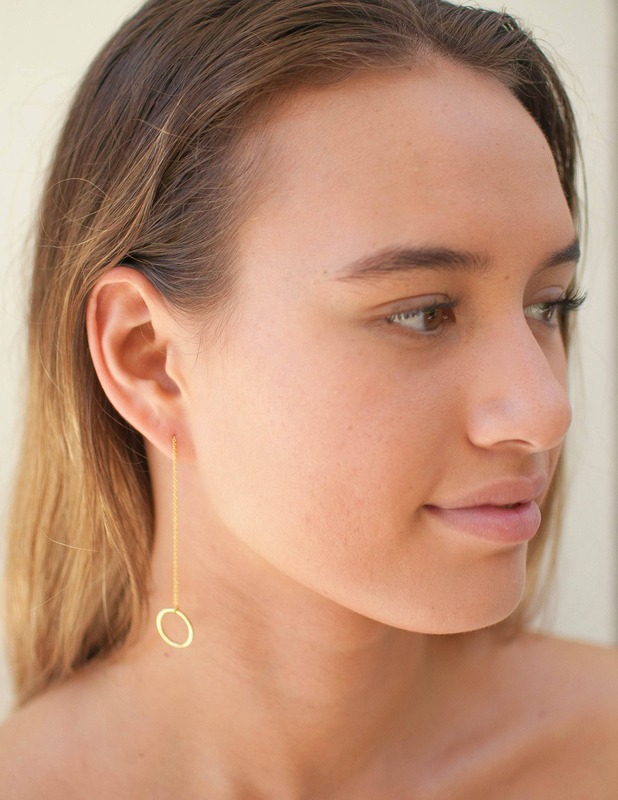 •	CHAIN THREADER is 14k Gold Filled, measuring 3.5"
•	CHAIN THREADER is Sterling Silver, measuring 3.5"
I absolutely LOVE these earrings. 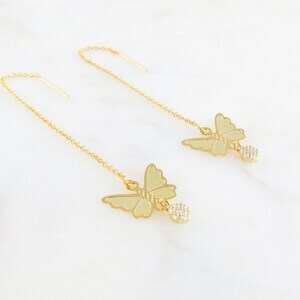 They come with their own little care instructions and kit, and they look gorgeous on me.